Not to be confused with the Siraiki dialect of Sindhi. A Saraiki speaker in Punjab, India. Saraiki (سرائیکی Sarā'īkī, often spelt Siraiki) is an Indo-Aryan language of the Western Punjabi (Lahnda) group, spoken in the southern half of the province of Punjab in Pakistan. While regarded by many Punjabis as a dialect of Punjabi, it has supported a language movement and a claim for recognition as a separate language. Saraiki is to a high degree mutually intelligible with Standard Punjabi and shares with it a large portion of its vocabulary and morphology, while at the same time in its phonology it is radically different and has important grammatical features in common with the Sindhi language spoken to the south. Saraiki is spoken by 20 million people[lower-alpha 1] in Pakistan: across the South Punjab, southern Khyber Pakhtunkhwa, and border regions of North Sindh and Eastern Balochistan. The present extent of the meaning of sirāikī is a recent development, and the term most probably gained its currency during the nationalist movement of the 1960s. It has been in use for much longer in Sindh to refer to the speech of the immigrants from the north, principally Siraiki-speaking Baloch tribes who settled there between the 16th and the 19th centuries. In this context, the term can most plausibly be explained as originally having had the meaning "the language of the north", from the Sindhi word siro 'up-river, north'. An alternative hypothesis is that Sarākī originated in the word sauvīrā, or Sauvira, a kingdom name in ancient India which was also mentioned in the Sanskrit epic Mahabharata. By adding adjectival suffix -kī to the word sauvīrā it became sauvīrakī. The consonant v with its neighboring vowels was dropped for simplification and hence the name became sarāiki. Another view is that sarāiki originates from the word sarai. The most common rendering of the name is Saraiki. However, Seraiki and Siraiki have also been used in academia until recently. Precise spelling aside, the name was first adopted in the 1960s by regional social and political leaders. An organization named Saraiki Academy was founded in Multan on 6 April 1962 and gave the name of universal application to the dialect. Currently, Saraiki is the spelling used in universities of Pakistan (the Islamia University of Bahawalpur, department of Saraiki established in 1989, Bahauddin Zakariya University, in Multan, department of Saraiki established in 2006, and Allama Iqbal Open University, in Islamabad, department of Pakistani languages established in 1998), and by the district governments of Bahawalpur and Multan, as well as by the federal institutions of the Government of Pakistan like Population Census Organization and Pakistan Broadcasting Corporation. Saraiki is a member of the Indo-Aryan subdivision of the Indo-Iranian branch of the Indo-European language family. Standard Punjabi and Saraiki (South Punjabi) are mutually intelligible. In 1919, Grierson maintained that the dialects of what is now the southwest of Punjab Province in Pakistan constitute a dialect cluster, which he designated "Southern Lahnda" within a putative "Lahnda language". Subsequent Indo-Aryanist linguists have confirmed the reality of this dialect cluster, even while rejecting the name "Southern Lahnda" along with the entity "Lahnda" itself. Grierson also maintained that "Lahnda" was his novel designation for various dialects up to then called "Western Punjabi", spoken north, west, and south of Lahore. The local dialect of Lahore is the Majhi dialect of Punjabi, which has long been the basis of standard literary Punjabi. However, outside of Indo-Aryanist circles, the concept of "Lahnda" is still found in compilations of the world's languages (e.g. Ethnologue). Central Saraiki, including Multani: spoken in the districts of Dera Ghazi Khan, Muzaffargarh, Leiah, Multan and Bahawalpur. Southern Saraiki: prevalent in the districts of Rajanpur and Rahimyar Khan. Sindhi Saraiki: dispersed throughout the province of Sindh. 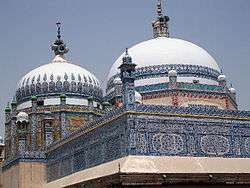 Northern Saraiki, or Thali: spoken in the district of Dera Ismail Khan and the northern parts of the Thal region, including Mianwali District. The historical inventory of names for the dialects now called Saraiki is a confusion of overlapping or conflicting ethnic, local, and regional designations. "Hindki" and "Hindko" – refer to various Saraiki and even non-Saraiki dialects in Punjab Province and farther north within the country, due to the fact they were applied by arrivals from Afghanistan. One historical name for Saraiki, Jaṭki, means "of the Jaṭṭs", a northern South Asian ethnic group; but Jaṭṭs speak the Indo-Aryan dialect of whatever region they live in. Only a small minority of Saraiki speakers are Jaṭṭs, and not all Saraiki speaking Jaṭṭs necessarily speak the same dialect of Saraiki. However, these people usually call their traditions as well as language as Jataki. Conversely, several Saraiki dialects have multiple names corresponding to different locales or demographic groups. The name "Derawali" is used to refer to the local dialects of both Dera Ghazi Khan and Dera Ismail Khan, but "Ḍerawali" in the former is the Multani dialect and "Derawali" in the latter is the Thaḷi dialect. When consulting sources before 2000, it is important to know that Pakistani administrative boundaries have been altered frequently. Provinces in Pakistan are divided into districts, and sources on "Saraiki" often describe the territory of a dialect or dialect group according to the districts. Since the founding of Pakistan in 1947, several of these districts have been subdivided, some multiple times. Until 2001, the territorial structure of Pakistan included a layer of divisions between a province and its districts. In the context of South Asia, the choice between the appellations "language" and "dialect" is a difficult one, and any distinction made using these terms is obscured by their ambiguity. In one general colloquial sense, a language is a "developed" dialect: one that is standardised, has a written tradition and enjoys social prestige. As there are degrees of development, the boundary between a language and a dialect thus defined is not clear-cut, and there is a large middle ground where assignment is contestable. There is a second meaning of these terms, in which the distinction is drawn on the basis of linguistic similarity. Though seemingly a "proper" linguistics sense of the terms, it is still problematic: methods that have been proposed for quantifying difference (for example, based on mutual intelligibility) have not been seriously applied in practice; and any relationship established in this framework is relative. 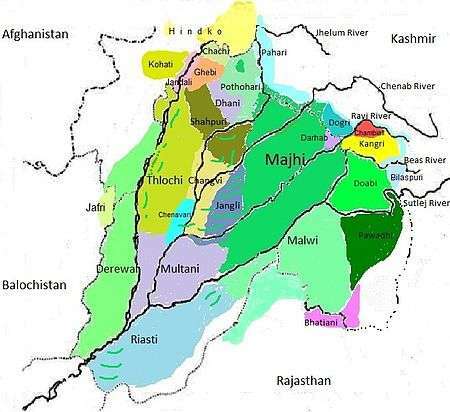 Thus Multani is a "dialect" of Siraiki in the same way that Siraiki is a "dialect" of Lahnda, which is then a "dialect" of Punjabi, which in turn is a "dialect" of Indo-Aryan. In this sense both Siraiki and Standard Panjabi are "dialects" of a "Greater Punjabi" macrolanguage. A language movement was started in the 1960s to standardise a script and promote the language. The national census of Pakistan has tabulated the prevalence of Saraiki speakers since 1981. Saraiki is primarily spoken in the south-western part of the province of Punjab. To the west, it is set off from the Pashto- and Balochi-speaking areas by the Suleiman Range, while to the south-east the Thar desert divides it from the Marwari language. Its other boundaries are less well-defined: Punjabi is spoken to the east; Sindhi is found to the south, after the border with Sindh province; to the north, the southern edge of the Salt Range is the rough divide with the northern varieties of Western Punjabi. Today, 20 million people from North Sindh, South Punjab, South Khyber Pakhtunkhwa and Eastern Balochistan province speak Saraiki. As of 2001, Saraiki dialects are spoken by 68,000 people in India. According to the Indian national census of 2001, it is spoken in urban areas throughout northwest and north central India, mainly by the descendants of migrants from western Punjab after the independence of Pakistan in 1947. Some of these speakers went to Andhra Pradesh and settled there before the independence movement because of their pastoral and nomadic way of life, and these are Muslims. 56,000 persons report their dialect as Mūltānī and 12,000 individuals report their dialect as Bahāwalpurī. The dialects of Saraiki spoken in India are Jafri, Siraiki Hindki, Thali and Riasati (Bahawalpuri, Bhawalpuri, Reasati). Saraiki is spoken in Karnal, Faridabad, Ballabhgarh, Palwal, Rewari, Sirsa, Fatehabad, Hisar, Bhiwani, Panipat districts of Haryana, some areas of Delhi and the Ganganagar district, Jaipur, Hanumangarh and Bikaner districts of Rajasthan. Saraiki's consonant inventory is similar to that of neighbouring Sindhi. It includes phonemically distinctive implosive consonants, which are unusual among the Indo-European languages. In Christopher Shackle's analysis, Saraiki distinguishes up to 48 consonants and 9 monophthong vowels. The "centralised"[lower-alpha 3] vowels /ɪ ʊ ə/ tend to be shorter than the "peripheral" vowels /i ɛ a o u/. The central vowel /ə/ is more open and back than the corresponding vowel in neighbouring varieties. Vowel nasalisation is distinctive: /'ʈuɾẽ/ 'may you go' vs. /'ʈuɾe/ 'may he go'. Before /ɦ/, the contrast between /a/ and /ə/ is neutralised. There is a high number of vowel sequences, some of which can be analysed as diphthongs. In its stop consonants, Saraiki has the typical for Indo-Aryan four-fold contrast between voiced and voiceless, and aspirated and unaspirated. In parallel to Sindhi it has additionally developed a set of implosives, so that for each place of articulation there are up to five contrasting stops, for example: voiceless /tʃala/ 'custom' ∼ aspirated /tʃʰala/ 'blister' ∼ implosive /ʄala/ 'cobweb' ∼ voiced /dʒala/ 'niche' ∼ voiced aspirate /jʰəɠ/ 'foam'. There are five contrasting places of articulation for the stops: velar, palatal, retroflex, dental and bilabial. The dentals / t tʰ d dʰ/ are articulated with the blade of the tongue against the surface behind the teeth. The retroflex stops are post-alveolar, the articulator being the tip of the tongue or sometimes the underside. There is no dental implosive, partly due to the lesser retroflexion with which the retroflex implosive /ᶑ/ is pronounced. The plain voiced /ɖ/ and the implosive /ᶑ/ are mostly in complementary distribution although there are a few minimal pairs, like /ɖakʈəɾ/ 'doctor' ∼ /ᶑak/ 'mail'. The palatal stops are here somewhat arbitrarily represented with [tʃ] and [dʒ]. [lower-alpha 5] In casual speech some of the stops, especially /k/, /g/ and /dʒ/, are frequently rendered as fricatives – respectively [x], [ɣ] and [z]. Of the nasals, only /n/ and /m/ are found at the start of a word, but in other phonetic environments there is a full set of contrasts in the place of articulation: /ŋ ɲ ɳ n m/. The retroflex ɳ is a realised as a true nasal only if adjacent to a retroflex stop, elsewhere it is a nasalised retroflex flap [ɽ̃]. The contrasts /ŋ/ ∼ /ŋɡ/, and /ɲ/ ∼ /ɲdʒ/ are weak; the single nasal is more common in southern varieties, and the nasal + stop cluster is prevalent in central dialects. Three nasals /ŋ n m/ have aspirated counterparts /ŋʰ nʰ mʰ/. The realisation of the alveolar tap /ɾ/ varies with the phonetic environment. It is trilled if geminated to /ɾɾ/ and weakly trilled if preceded by /t/ or /d/. It contrasts with the retroflex flap /ɽ/ (/taɾ/ 'wire' ∼ /taɽ/ 'watching'), except in the variety spoken by Hindus. The fricatives /f v/ are labio-dental. The glottal fricative /ɦ/ is voiced and affects the voice quality of a preceding vowel. All consonants except /h y ɳ ɽ/ can be geminated. Geminated consonants occur only after stressed centralised vowels. A stressed syllable is distinguished primarily by its length: if the vowel is peripheral /i ɛ a o u/ then it is lengthened, and if it is a "centralised vowel" (/ɪ ʊ ə/) then the consonant following it is geminated. Stress normally falls on the first syllable of a word. The stress will, however, fall on the second syllable of a two-syllable word if the vowel in the first syllable is centralised, and the second syllable contains either a diphthong, or a peripheral vowel followed by a consonant, for example /dɪɾ'kʰan/ 'carpenter'. Three-syllable words are stressed on the second syllable if the first syllable contains a centralised vowel, and the second syllable has either a peripheral vowel, or a centralised vowel + geminate, for example /tʃʊ'həttəɾ/ 'seventy-four'. There are exceptions to these rules and they account for minimal pairs like /it'la/ 'informing' and /'itla/ 'so much'. In the province of Punjab, Saraiki is written using the Arabic-derived Urdu alphabet with the addition of seven diacritically modified letters to represent the implosives and the extra nasals. [lower-alpha 6] In Sindh the Sindhi alphabet is used. The calligraphic styles used are Naskh and Nastaʿlīq. Historically, traders or bookkeepers wrote in a script known as kiṛakkī or laṇḍā, although use of this script has been significantly reduced in recent times. Likewise, a script related to the Landa scripts family, known as Multani, was previously used to write Saraiki. A preliminary proposal to encode the Multani script in ISO/IEC 10646 was submitted in 2011. Saraiki Unicode has been approved in 2005. The Khojiki script has also been in use, whereas Devanagari and Gurmukhi are not employed anymore. Department of Saraiki, Islamia University, Bahawalpur was established in 1989 and Department of Saraiki, Bahauddin Zakariya University, Multan was established in 2006. Saraiki is taught as subject in schools and colleges at higher secondary, intermediate and degree level. Allama Iqbal open university Islamabad, and Al-Khair university Bhimbir have their Pakistani Linguistics Departments. They are offering M.Phil. and Ph.D in Saraiki. Associated Press of Pakistan has launched its site in Saraiki also. Khawaja Ghulam Farid (1845–1901; his famous collection is Deewan-e-Farid) and Sachal Sar Mast (1739–1829) are the most celebrated Sufi poets in Saraiki and their poems known as Kafi are still famous. Shakir Shujabadi (Kalam-e-Shakir, Khuda Janey, Shakir Diyan Ghazlan, Peelay Patr, Munafqan Tu Khuda Bachaway, and Shakir De Dohray are his famous books) is a very well recognized modern poet. Famous singers who have performed in Saraiki include Attaullah Khan Essa Khailwi, Pathanay Khan, Abida Parveen, Ustad Muhammad Juman, Mansoor Malangi, Talib Hussain Dard, Kamal Mahsud, and The Sketches. Many modern Pakistan singers such as Hadiqa Kiyani and Ali Zafar have also sung Saraiki folk songs. Prime Minister Yousuf Raza Gilani on Monday said southern Punjab is rich in cultural heritage which needs to be promoted for next generations. In a message on the launch of Saraiki channel by Pakistan Television (PTV) in Multan, Prime Minister Gilani said the step would help promote the rich heritage of 'Saraiki Belt'. These are not dedicated Saraiki channels but play most programmes in Saraiki. Christopher Shackle, Yuri Andreyevich Smirnov and George Abraham Grierson are Westerners who did research on Saraiki language. ↑ This eastern group is in Wagha's scheme. In its places Shackle's classification has Jhangi and Shapuri as separate branches. ↑ The terms "centralised" and "peripheral" are used in Shackle 1976 and Shackle 2003. ↑ The symbols used follow Shackle (2003). Shackle (1976) has ʌ for ə and æ for ɛ. For an alternative representation, see PHOIBLE (2014). ↑ They are transcribed as such by Awan, Baseer & Sheeraz (2012, p. 127). Latif (2003, p. 91) reports that these consonants have similar spectrograms to those of those of Urdu. Shackle (1976, p. 22) has them as pre-palatal. Smirnov (1975, p. 31) in his account of Lahnda describes them as "palato-alveolar medio-lingual affricates". None of these sources discuss the issue at length. ↑ The practice is traced back to Juke's 1900 dictionary. The modern standard was agreed upon in 1979 (Wagha 1997, pp. 240–41). This article incorporates text from The cyclopædia of India and of Eastern and Southern Asia: commercial, industrial and scientific, products of the mineral, vegetable, and animal kingdoms, useful arts and manufactures, Volume 2, by Edward Balfour, a publication from 1885 now in the public domain in the United States. 1 2 3 4 5 6 Lewis, Simons & Fennig 2016. ↑ "Western Panjabi". Ethnologue. Retrieved 21 July 2016. 1 2 Rahman 1995, p. 16. 1 2 3 Shackle 2015. ↑ Shackle 1977, p. 389. ↑ Rahman 1995, p. 3. ↑ Shackle 1976, p. 2. ↑ Shackle 1977, p. 388. ↑ Dani 1981, p. 36. 1 2 "The Islamia University of Bahawalpur Pakistan - Department". iub.edu.pk. 1 2 "- Bahauddin Zakariya University,Multan,Pakistan(bzu)". bzu.edu.pk. 1 2 "Department Detail". aiou.edu.pk. ↑ "Introduction -City District Government Multan". multan.gov.pk. ↑ Masica 1991, pp. 18–20. ↑ This is the grouping in Wagha (1997, pp. 229–31), which laregely coincides with that in Shackle (1976, pp. 5–8). ↑ Shackle 1976, p. 8. ↑ Masica 1991, p. 426. ↑ Grierson 1919, pp. 239ff. ↑ The following general description is based primarily on Masica (1991, pp. 23–27); for a brief discussion of the specific case of Saraiki, see Wagha (1997, pp. 225–26). ↑ Rahman 1997, p. 838. ↑ Javaid 2004, p. 46. ↑ Shackle 1976, pp. 1–2. ↑ "Kahan se aa gai (کہاں سے کہاں آ گئے)". Retrieved 8 April 2012. ↑ "Abstract of speakers' strength of languages and mother tongues – 2001". Archived from the original on 6 February 2012. Retrieved 8 April 2012. ↑ Shackle 1976, pp. 12, 18. ↑ Shackle 1976, pp. 12–13. ↑ Shackle 2003, p. 588. ↑ Shackle 1976, p. 17. ↑ Shackle 1976, p. 32. ↑ Shackle 2003, p. 590. ↑ Shackle 1976, p. 18–19. ↑ Shackle 1976, p. 22. ↑ Shackle 2003, pp. 590–91. ↑ Shackle 1976, pp. 20–21. ↑ Shackle 1976, p. 21. ↑ Shackle 1976, p. 23. ↑ Shackle 1976, pp. 20–23, 27. ↑ Shackle 1976, pp. 31–33. ↑ Shackle 1976, p. 27. ↑ Shackle 1976, p. 28–29. ↑ Shackle 2003, pp. 598–99. ↑ Shackle 2003, p. 594. ↑ Wagha 1997, pp. 239–40. 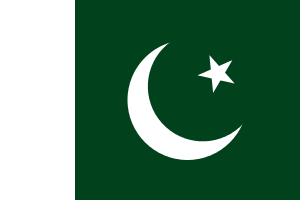 ↑ "Associated Press Of Pakistan ( Pakistan's Premier NEWS Agency ) - Saraiki". app.com.pk. ↑ uploader. "Associated Press Of Pakistan ( Pakistan's Premier NEWS Agency ) - PTV's Saraiki channel to promote area's culture: PM". app.com.pk. Asif, Saiqa Imtiaz. 2005. Siraiki Language and Ethnic Identity. Journal of Research (Faculty of Languages and Islamic Studies), 7: 9-17. Multan (Pakistan): Bahauddin Zakariya University. Awan, Muhammad Safeer; Baseer, Abdul; Sheeraz, Muhammad (2012). "Outlining Saraiki Phonetics: A Comparative Study of Saraiki and English Sound System" (PDF). Language in India. 12 (7): 120–136. ISSN 1930-2940. Retrieved 2016-10-21. Dani, A.H. (1981). "Sindhu – Sauvira : A glimpse into the early history of Sind". In Khuhro, Hamida. Sind through the centuries : proceedings of an international seminar held in Karachi in Spring 1975. Karachi: Oxford University Press. pp. 35–42. ISBN 978-0-19-577250-0. Gardezi, Hassan N. (1996). "Saraiki Language and its poetics: An Introduction". Archived from the original on 21 April 2009. Grierson, George A. (1919). Linguistic Survey of India. Volume VIII , Part 1, Indo-Aryan family. North-western group. Specimens of Sindhī and Lahndā. Calcutta: Office of the Superintendent of Government Printing, India. HEC, Islamabad Pakistan.Letter No. 20-/R7D/09 -5243 Dated 20-01-2010. Latif, Amna (2003). "Phonemic Inventory of Siraiki Language and Acoustic Analysis of Voiced Implosives" (PDF). CRULP Annual Student Report, 2002-2003. Center for Research in Urdu Language Processing. Lewis, M. Paul; Simons, Gary F.; Fennig, Charles D., eds. (2016). "Saraiki". Ethnologue (19 ed.). (access limited). Masica, Colin P. (1991). The Indo-Aryan languages. Cambridge language surveys. Cambridge University Press. ISBN 978-0-521-23420-7. Rahman, Tariq (1995). "The Siraiki Movement in Pakistan". Language Problems & Language Planning. 19 (1): 1–25. doi:10.1075/lplp.19.1.01rah. Rahman, Tariq (1997). "Language and Ethnicity in Pakistan". Asian Survey. 37 (9): 833–839. doi:10.2307/2645700. ISSN 0004-4687. Rahman, Tariq. 1999. Language, education, and culture. Islamabad: Sustainable Development Policy Institute ; Karachi : Oxford University Press. Rahman, Tariq. No date. People and Languages in the Pre-Islamic Indus Valley. Hosted by the Asian Studies Network Information Center, University of Texas. Rasoolpuri, Aslam (1980). Siraiki Zaban Da Rusmul Khet atey Awazan. Rasoolpur: Siraiki Publications. Shackle, Christopher (1976). The Siraiki language of central Pakistan : a reference grammar. London: School of Oriental and African Studies. Shackle, Christopher (1977). "Siraiki: A Language Movement in Pakistan". Modern Asian Studies. 11 (3): 379–403. ISSN 0026-749X. JSTOR 311504. Shackle, Christopher (2015). "Siraiki language". Encyclopedia Britannica. Retrieved 2016-10-18. Shackle, Christopher (n.d.). "Lahnda language". Encyclopedia Britannica. Retrieved 2016-10-24. Smirnov, Yuri Andreevich (1975) . The Lahndi language. Languages of Asia and Africa. Moscow: Nauka, Central Dept. of Oriental Literature. Wagha, Muhammad Ahsan (1997). The development of Siraiki language in Pakistan (Ph.D.). School of Oriental and African Studies. (requires registration).